This decision follows a unanimous vote by Malta’s parliament last week to create the Affirmation of Sexual Orientation, Gender Identity and Gender Expression Act. Any practicing medical profession — including general physicians and licensed therapists, among others –who are found to have attempted to “change, repress or eliminate a person’s sexual orientation, gender identity and/or gender expression” face a fine of up to 10,000 euros or a jail sentence of up to a year. Judges may use their discretion to issue lesser punishments within those bounds. Many European nations frown on sexual orientation and gender identity change therapy, but they have been shy of legislating against it. This is out of fears over religious sensibilities but also a much more salient issue as to how medical bodies should and shouldn’t be regulated. The central argument is that it’s important therapeutic and counselling bodies be given the means to self regulate so that they can ensure they are able to speak on the best interests of their clients and not act simply in accordance with political wishes of the time. In short, this self regulation is supposed to preserve the governing medical interest of patient care. Guarding against political interference is therefore important. 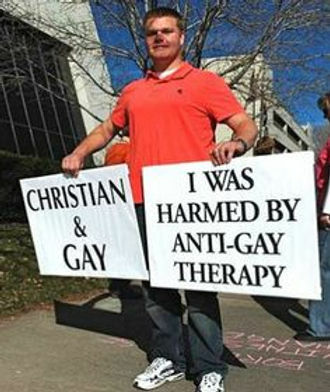 However, when it comes to LGBT-change therapies, we know that some therapeutic groups, particularly those who claim a religious ethos, may fall outside of those standards of care and put religious ideology ahead of affirming LGBT identity, the latter stance being the appropriate course of action as deemed by all major psychological and psychiatric bodies including the World Psychiatric Association. As a result, LGBT rights groups have called on governments to act to underpin therapeutic guidelines with legislation, pointing out that allowing sexual orientation and gender identity-”cure” efforts to persist is tantamount allowing medical negligence and putting patients, and in this case particularly young and vulnerable patients, at risk. Some politicians have acted, and in the United States for example we’ve seen bans on sexual orientation and trans identity change-efforts involving minors coming up and being enshrined in a number of states, though at the moment only a minority. Malta, with its legislation, becomes the first nation in Europe to really tackle this issue head on and uncompromisingly. Its legislation doesn’t just cover those “cure” therapies being tried on minors, but also adults too. The deliberate and clear statement maintains that LGBT identity should be affirmed by both the medical community and by the political establishment. The new law also lowers the age at which a young person can seek gender affirmation care without their parent’s consent to 16. While, arguably, the bill could have gone further, this legislation has been hailed as a progressive step that is sensitive to the needs and situations of LGBT individuals. Malta’s medical and therapeutic bodies have welcomed the step, but that doesn’t come as a surprise. A whole range of medical professionals were given the ability to consult on the bill to ensure it was shaped appropriately and with proper safeguards. We] openly disapprove of practices are which are harmful to people in our community. 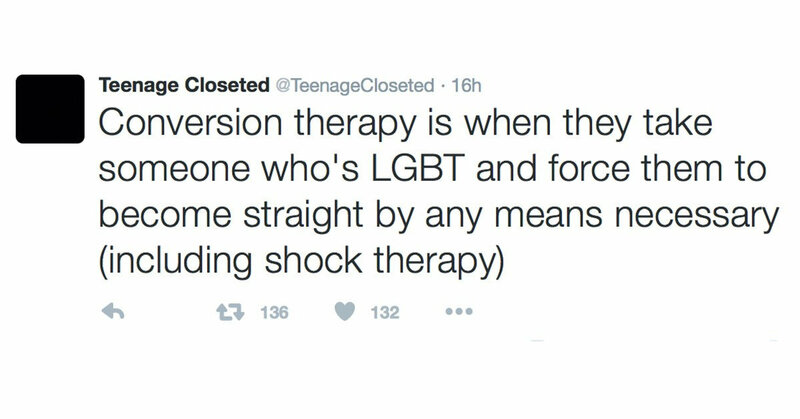 Not only does [gay conversion therapy] reject a group of individuals on the basis of unfound prejudice and lack of tolerance for diversity, but also because it impinges on the international recognition of LGBTIQ rights. As a body we promote respect and equality for all persons, and are determined to continue working towards ensuring our clients can enjoy as safe a therapeutic experience as they deserve. Could Malta’s groundbreaking law be adopted elsewhere in Europe? UK medical bodies have released firm statements against LGBT “cure therapies,” stating in a signed letter that such attempts are a failure of care for patients. The largest Christian therapy service in the UK has also signed on to that effort, asserting that sexual orientation and gender change efforts are not an effective nor desirable therapeutic tool. However, opinion remains divided on whether laws should be used to drive home that opposition. This will likely be a conversation that continues across several nations over the next few years. Speaking entirely from an LGBT rights perspective, as long as safeguards can be put in place to ensure medical independence from government overreach, the goal of protecting LGBT people from medical professionals who cannot separate private beliefs from medical responsibilities seems like a worthwhile and necessary use of legislative power.